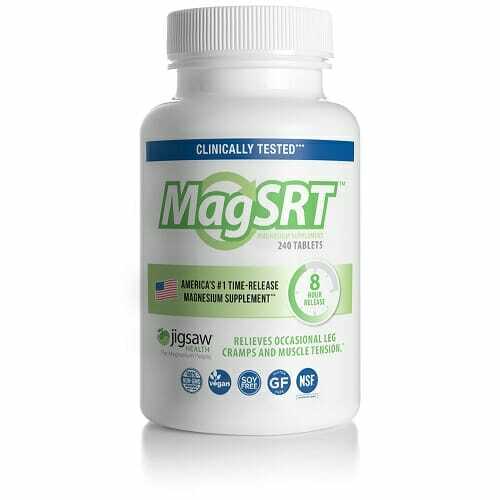 Jigsaw Health MagSRT is a cutting-edge magnesium supplement which utilizes 8-hour sustained release technology. Designed to bring you the best in absorption and digestive comfort. Also features vitamin C and various B-complex vitamins. Powerful 500 mg dose of magnesium per serving. 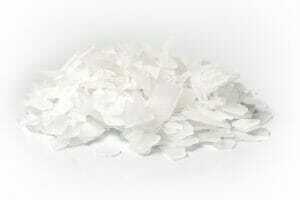 8-hour sustained release is best for magnesium absorption and digestive comfort. Now with Quatrefolic® – active Vitamin B9 (Folic Acid). Includes the active form of Vitamin B6 (P5P). Vitamin C content may further aid in magnesium absorption. Vegan friendly and free from artificial colors, artificial dyes, gluten, and preservatives. Thankfully, magnesium can be found in large quantities within a number of common foods such as dark chocolate, avocado, and fatty fish. However, it is also common for people to encounter difficulties with digesting and absorbing magnesium from these food sources. For these people, magnesium supplements are a popular method of compensating for their absorption issues. Generally, this method is viable. However, not all magnesium supplements are made with the ingredients, dosages, and delivery methods to get the job done properly. That’s why Jigsaw Health MagSRT has been developed: to bring you a truly effective magnesium supplement. The primary feature of MagSRT is its sustained release technology, sometimes referred to as ‘timed-release’. This means that, as opposed to dumping all of its contents upon the digestive tract instantaneously, MagSRT slowly releases its magnesium content over the course of 8-hours. This may improve both the absorption and distribution of supplemental magnesium, as well as negate the digestive discomfort that large doses of magnesium can often cause. As a dietary supplement, take 4 tablets per day with food. Divide doses if desired, or use as directed by your health care provider.